Pat learned a hard lesson about giving the benefit of the doubt. Much like a stockholm-stricken victim he walked into the 5th installment of the Pirates franchise with hopes as high as the seas, only to have them dashed on the rocks below. Thrust into an all-new adventure, a down-on-his-luck Capt. 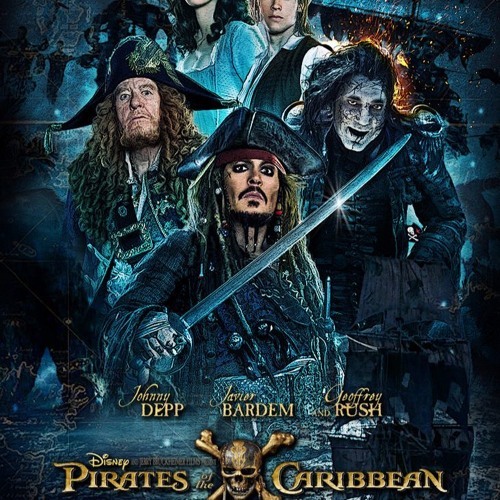 Jack Sparrow feels the winds of ill-fortune blowing even more strongly when deadly ghost sailors led by his old nemesis, the evil Capt. Salazar, escape from the Devil's Triangle. Jack's only hope of survival lies in seeking out the legendary Trident of Poseidon, but to find it, he must forge an uneasy alliance with a brilliant and beautiful astronomer and a headstrong young man in the British navy.